I've been working with the Arduino platform for several years now and have created a number of personal projects for the IoT as well as working on some Arduino compatible commercial hardware projects. 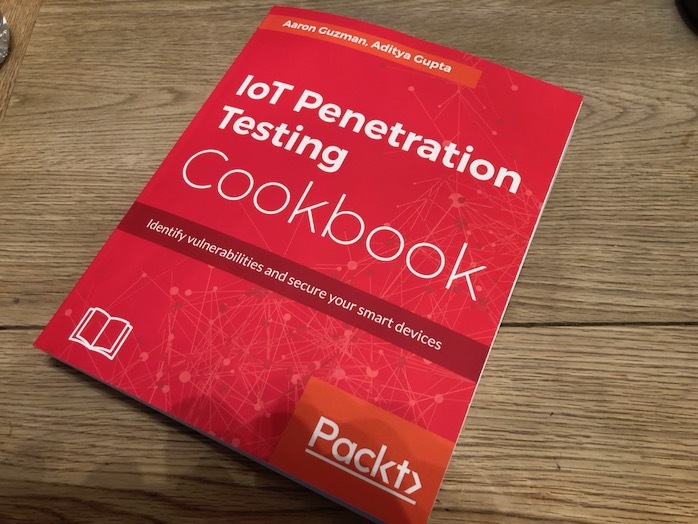 I have previously given a complete, technical review of Internet of Things with Arduino Blueprints by PACKT Publishing and was recently approached to review a new title: IoT Penetration Testing Cookbook. IoT is an upcoming trend in the IT industry today; there are a lot of IoT devices on the market, but there is a minimal understanding of how to safeguard them. If you are a security enthusiast or pentester, this book will help you understand how to exploit and secure IoT devices. This book follows a recipe-based approach, giving you practical experience in securing upcoming smart devices. It starts with practical recipes on how to analyze IoT device architectures and identify vulnerabilities. Then, it focuses on enhancing your pentesting skill set, teaching you how to exploit a vulnerable IoT device, along with identifying vulnerabilities in IoT device firmware. Next, this book teaches you how to secure embedded devices and exploit smart devices with hardware techniques. 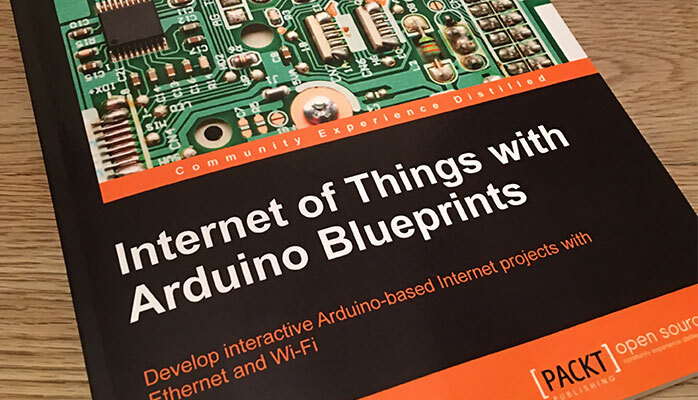 Moving forward, this book reveals advanced hardware pentesting techniques, along with software-defined, radio-based IoT pentesting with Zigbee and Z-Wave. Finally, this book also covers how to use new and unique pentesting techniques for different IoT devices, along with smart devices connected to the cloud. By the end of this book, you will have a fair understanding of how to use different pentesting techniques to exploit and secure various IoT devices.